GOAL IN LIFE: To publish great books and sell the hell out of them. BEST LEADERSHIP LESSON: Publishing is all about your writers, being a publisher means you have to learn to take your books out into the world. With 85,000 copies sold so far in a country where 5,000 is the norm for non-fiction books in English, The Accidental Prime Minister by Sanjaya Baru was a publishing phenomenon in 2014. But the insider account of former prime minister Manmohan Singh's government would never have come into being had it not been for Chiki Sarkar, who approached Baru - press advisor to Singh for part of his term - to write it. "2014 was a high base year and improving on it will be a challenge," she says. Sarkar is the daughter of Ananda Bazaar Patrika Group owner Aveek Sarkar but has carved out an identity of her own in a different business. Starting her career in London with Bloomsbury Publishing where she worked for seven years, she moved to Delhi in 2006 to join Random House. 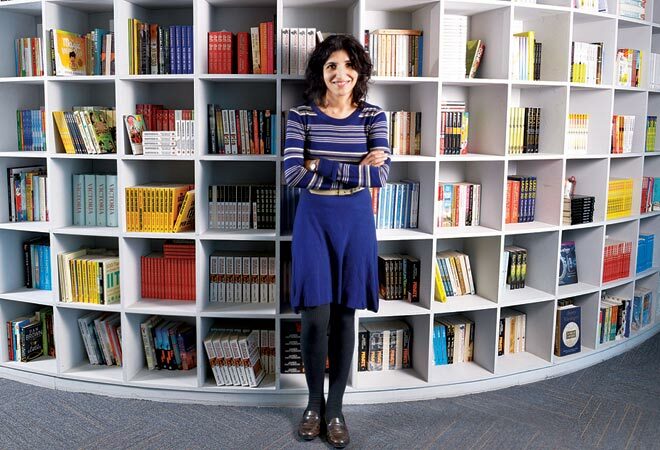 She took over at Penguin Books India in 2011. After global publishers Penguin Books and Random House merged, in 2013, she was made the India head of the combined entity. Penguin has published a roll call of India's top writers in English, including Arundhati Roy and Vikram Seth. "Sarkar is focused and never bypasses team members," says Devdutt Pattanaik, author and Chief Belief Officer, Future Group. "She reminds you why Penguin/Random House is the place to be."